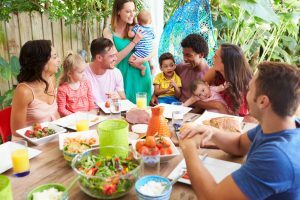 Family Visitation for Children in Foster Care - People Places, Inc. Relationships are key to human survival. From the moment we are born, we rely on others for our physical and emotional well-being. Even as we develop into self-sufficient adults, having meaningful relationships is vital for our health. Imagine being picked up from your job by unknown people, told that you cannot return to your home and that you will not see your loved ones for an unknown period of time. Now imagine the same scenario, but you are given reassurance that you will see your loved ones (in a safe, supervised setting) on a specific day each week, with the hope of reuniting with one another in the near future. Do you feel a difference when processing these two very similar scenarios? Children who enter foster care fear never seeing family members again. This fear can be greatly diminished through regular visits with family members. Occasionally, a child does not wish to visit a family member or is not allowed due to safety or a person being inaccessible, but the majority of children in foster care long to maintain connects with birth family. They need to maintain these connections and will be supported by the Court and professionals to have regular contact with family members, especially siblings and adults who are actively working to have the child return to or live in their home. Safety is always a priority for all involved and is one of the reasons that the majority of visits between family members and children in foster care are supervised by professionals. These visits are an opportunity for reassurance, connection, mutual enjoyment, and repairing and building of relationships. They also provide an opportunity for parents or kin to demonstrate to professionals learned parenting skills and the ability to safely care for and interact with children. Visitation with birth family is one of the primary ways children will heal, attach and move quickly through the foster care system. Visitation between children and their family members (including birth parents, siblings and extended family members) can be rewarding, challenging and difficult for both the child and the other person(s) involved. A foster parent’s role is key in preparing the child for the visit and to help support and process with the child after the visit. Foster parents can assist children with family visitation through transporting the child to and from visits, reporting to professionals changes in behaviors/emotions before and after visits, interacting positively and respectfully with a child’s family members and providing opportunities for children to maintain connections and honor their family of origin (such as hanging pictures of the birth family in the foster home, writing letters, sharing pictures, remembering birth families members on holidays and other special occasions). Visitation is required for children in foster care, unless there is a court order mandating no visitation. Deciding to become a foster parent is not just about caring for and protecting children during their stay in foster care. It is also about understanding who the child is, supporting and maintaining previous relationships and honoring and respecting their birth family.